Team building is important for any organization, but people often discuss teamwork as if it’s a singular entity. 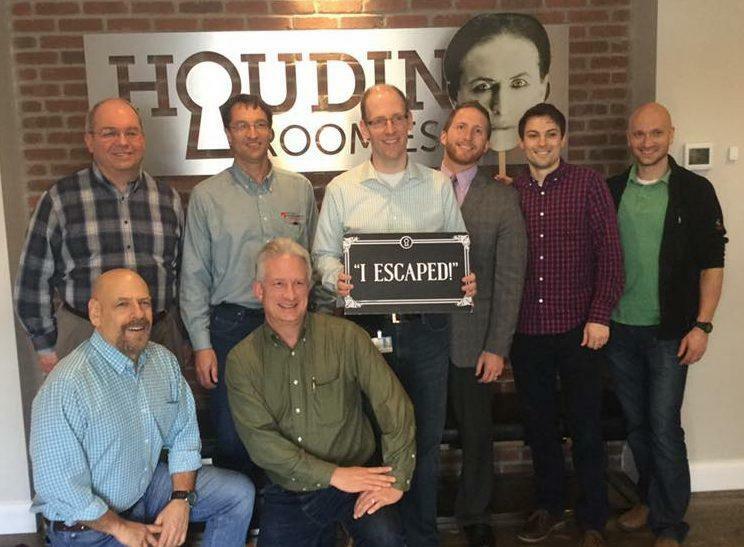 However, there are several components to building a strong team, whether it’s a corporation, family or group of friends, and Houdini’s Room Escape can help. Why Choose Houdini’s Room Escape? 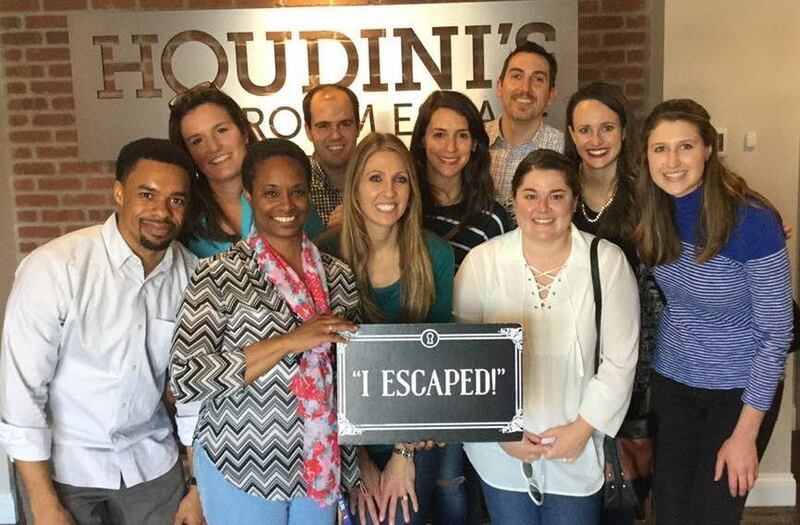 Houdini’s Room Escape is an excellent choice for team building. 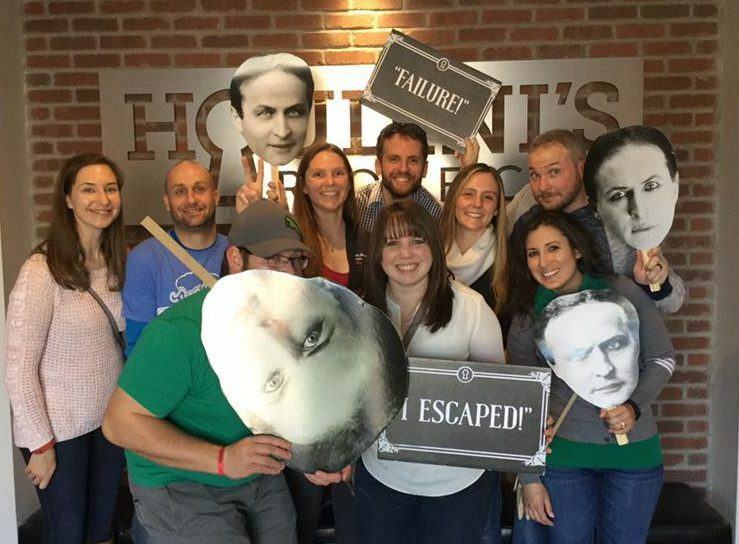 At Houdini’s Room Escape, groups must communicate, problem solve and cooperate to escape the room within 60 minutes. One aspect of an effective team is cohesion. Here at Houdini’s we see a lot of cross-functional teams and/or matrixed organizations. These groups are typically made up of professionals who have specific knowledge to contribute to a project or a particular task assigned to them on a new team. No one in the group may be new to the organization, but they don’t know each other and now have to come together for a project. In the end, the groups that visit our escape rooms leave with increased unity. People often ask us how smart you have to be to escape one of our rooms – contrary to popular belief, success is usually not a function of intelligence. So what’s the secret? Intelligence certainly helps and plays a role, but it ultimately comes down to problem solving, which requires players to shift perspectives. Our escape rooms help highlight the importance of perspective. After all, a good team will be respectful and appreciative of varying points of view – we call it “thought diversity.” Whenever a team is developing an approach to tackle a problem, different points of view can help widen the method and provide a team with more options. Solving puzzles at Houdini’s is no different. The puzzles vary, but most of them rely on the player’s ability to draw connections or see patterns. More often than not, a singular point of view will leave the team struggling. Players often have an “Aha” moment when the solution is finally found or revealed because it wasn’t that the problem was too hard, it just required a different perspective to solve. Moments like these, can help reinforce the need for different thoughts and approaches. 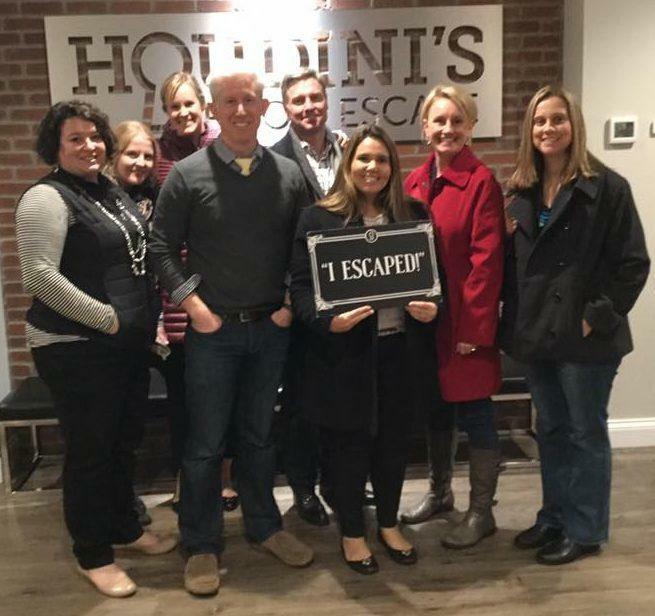 Visiting Houdini’s Room Escape gives everyone an opportunity to meet one another outside of work in a fun, upbeat environment. By participating in a room escape the team will be required to communicate and work together, but the real magic happens afterwards when the team heads to a local bar or restaurant. While sitting down for a meal or mingling over drinks, the team will have an opportunity to discuss the different puzzles, clues, riddles and reflect on who contributed. Ultimately, it’s a great ice breaker that gets the team engaged and working together right away. After 20 minutes of Houdini talk, the team can easily transition into discussing the upcoming project. Our escape rooms are open to all during our regular business hours, but we can also help you schedule a private event outside of our normal hours of operation to better fit your needs. 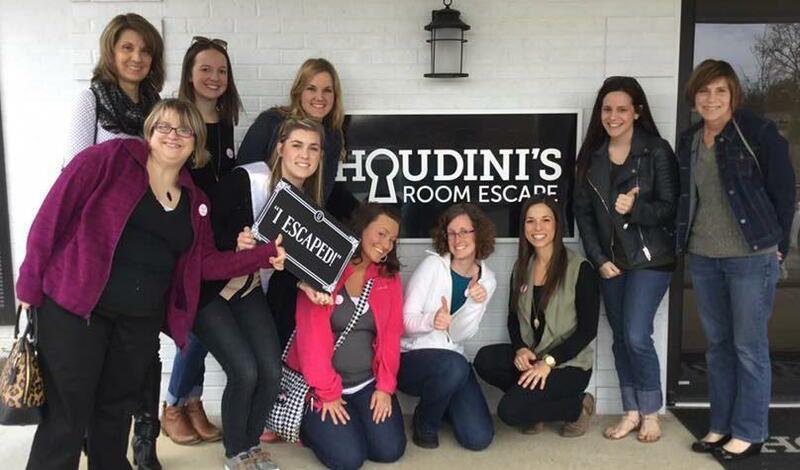 Contact our Cincinnati team by email at team@houdinisroomescape.com, or call us at 513.549.5419. We’ll get back to you as soon as possible.